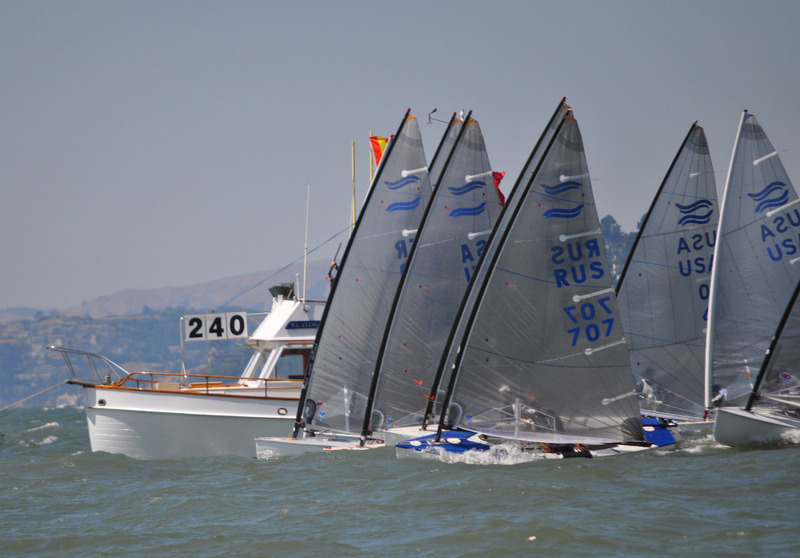 Here is Brazil’s reigning Finn Junior World Champion, Jorge Zarif, port-tacking the fleet in Thursday’s practice race for the 2010 championship . . . I could hear him across the waterYEEHAAWas the shutter clicked. 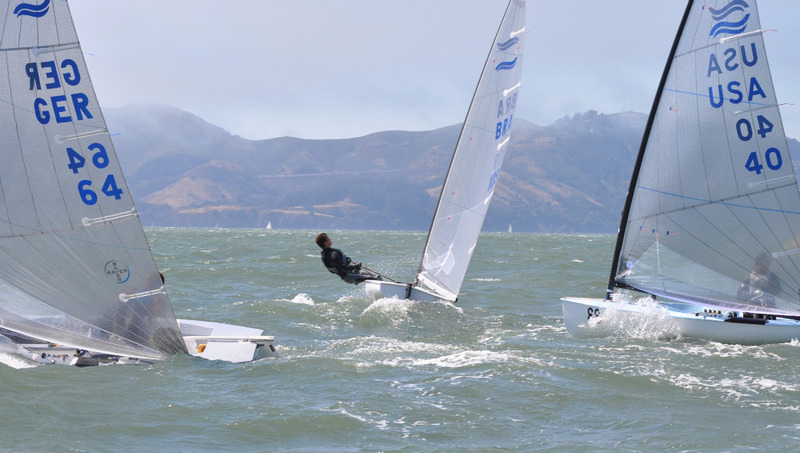 Nobody bothered to finish the practice race, but the deal goes serious today, Friday, with two races on San Francisco Bay. 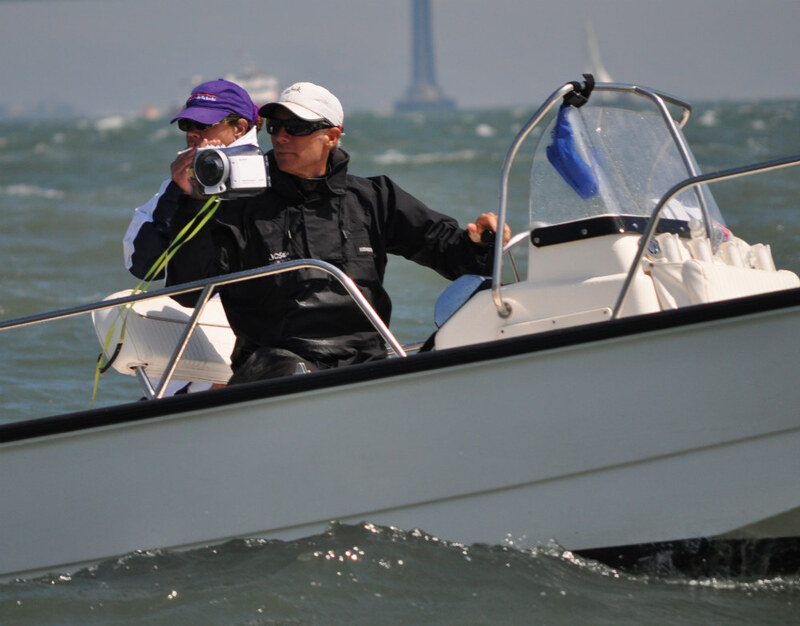 This is also the venue for the Finn Gold Cup that kicks off next week. It was fascinating to observe John Bertrand in his role of coaching American Luke Lawrence. I remember Bertrand winning the Laser Slalom at (I think) age 16 on these waters and then going on to define the Laser Generation. 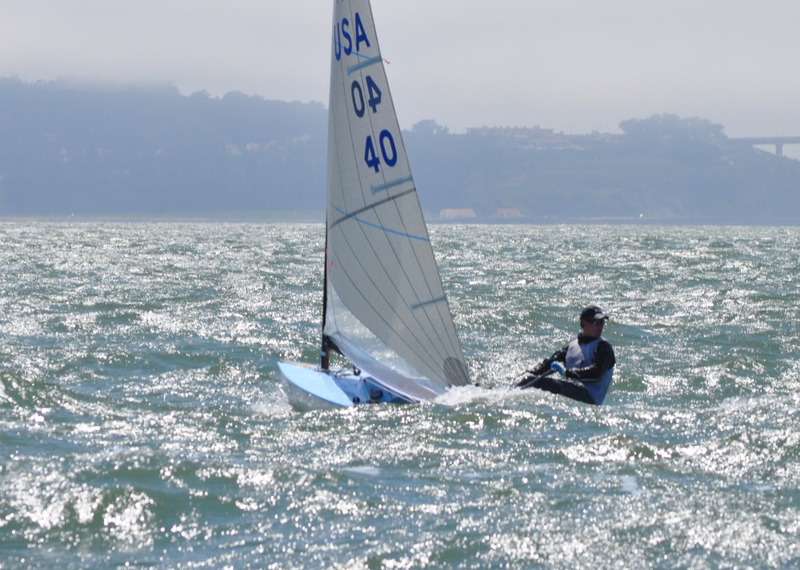 That was the 1970s, and San Francisco Bay had 400 percent more Lasers per capita than any other sailing capital (thanks, Don), The young man would go on to win multiple Laser world titles and then become the second American to win the Finn Gold Cup, after Henry Sprague. An Olympic silver medal was also involved, but right now John Bertrand is pouring his all into Luke Lawrence, who took Jorge Zarif’s transom and then checked back, as you see in the photo below. The bay –one sixth of all that water goes out and in twice a day—was ebbing against the seabreeze. Dig the seastate, and this was a random wave, not the big one . . .